Jack Brennan is a native of Westport, Connecticut, attended Oberlin College and holds B.M. and M.M. degrees from the College-Conservatory of Music of the University of Cincinnati. He has studied with Paul Yancich, Alan Otte and Bill Youhass. 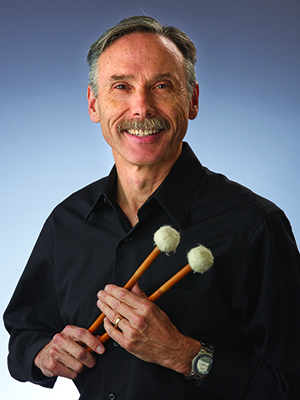 Before joining the Indianapolis Symphony Orchestra in 1998, Brennan served as principal timpanist of the San Antonio Symphony Orchestra, principal percussion and associate principal timpanist of the Buffalo Philharmonic and a member of the chamber music trio, The Percussion Group. In Indianapolis, he is very active as a teacher/performer with the Orchestra’s Partnership Schools program and serves as a section coach for the Side-by-Side program. He and his wife, a violinist, are the parents of one son. Brennan enjoys film, theater, antiques and trying different ethnic foods. "Sure, percussionists live for the big loud moments in music. But we also enjoy playing the delicate sensitive parts written for percussion. Sibelius created some really magical effects using very soft rolls and single notes on the timpani. It is those moments when the timpani becomes something more than just drums that I find most rewarding."